I read Next Year in Havana just this past January and fell completely in love with the story and the author’s writing. So when I heard that Chanel Cleeton had written a companion novel (which came out yesterday! ), I couldn’t have been more excited. Especially, when I heard it was about Beatriz. Even though she was a secondary character in the previous book, Beatriz Perez is not someone you can ignore. 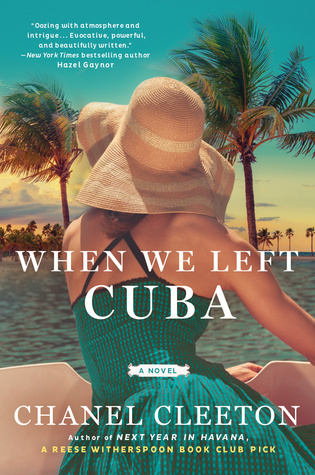 This new novel picks up after her family has fled Cuba in exile and settled in Florida during the 1960s. But unlike the rest of her family, she’s unable to let go of what they lost and a need to get revenge. So when the CIA recruit her to infiltrate Fidel Castro’s circle, she is all in. We see what a life of espionage does to her as American and Cuban politics clash, her family continues to place pressure on her and Beatriz falls in love with a man with ambitions of his own. I loved everything about Beatriz. Her agency, intelligence, ambition and vulnerability. She is so much more than the just the beautiful woman everyone sees. I was fascinated by her life and the romance aspect was very much swoon worthy. And again, the author balances the fictional aspect and the history part of it perfectly. Do I recommend? Absolutely! I’m hoping for more of the Perez sisters and just more from this author in general. When Summer Ends is a cute, fun read for anyone missing summer right now (aka me). 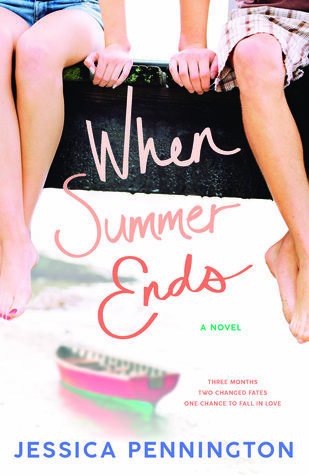 It’s alternates between: Aiden, an all-star pitcher who quits the team without explanation before his senior year because he doesn’t want to admit his vision is failing; and Olivia, whose plans of a dream internship and warm days spent with her boyfriend completely fall apart. When Olivia has to find a replacement summer job, she does.. at the same place where Aiden works. Their paths cross and naturally, sparks fly although both try to fight it. But as much as the romance plays a big part, it’s also very much about the individuals. We find out what Aiden’s hidden passions are and watch as Olivia learns to let go by letting a coin flip decide her fate again and again. It's on the predictable side and surprisingly quiet when it comes to drama or angst (don't get me wrong, it's not devoid about it but its just not crazy) but ultimately I think that's why I liked it. It’s a sweet love story and personal journey that made for a quick read to easily immerse my self into for an afternoon. Do I recommend? If you’re in the mood for a feel-good contemporary, I’d check this out from the library.